Portable vaporizers are designed in various styles, shapes and sizes that you can conveniently buy from your nearby vape shop. A standard portable vape should be compact enough to fit in your pocket and work well with dry herbs. Quality portable vaporizers usually don’t have bags or whips but include a base and a straw. This can make your vaping on-the-go convenient, discreet and safer. FireFly 2 is becoming very popular recently because of its advanced technology and its portability. Its design is also simple. The heating and delivery system of this portable vape is made of glass and functions uniquely. Unlike ordinary vaporizers in your local vape shop that heats dry herbs with direct contact, FireFly 2 uses hot air to vaporize the herbs. You can therefore be sure to smell the aroma and enjoy tons of smooth flavors. This vape has two sensors on either side to initiate heating and will continue heating up when you draw. This will prolong your battery power and preserve your dry herb for hours. The FireFly 2 vape is user-friendly; you can easily access its herb compartment via a magnetic faceplate that pops off. After loading your device, you simply have to flop the faceplate back in place. Cleaning the herb chamber is also easy. FireFly has a sturdy, smartphone-compact design and is easy to carry around. Boundless CFV is another portable vaporizer with a convectional heating system like the FireFly 2. You can check it out in a good vape shop. This high-end vape is the only one of its kind that uses heat retention rings for personalized vaping sessions. The heating chamber fits a wooden or quartz ring. If you want bigger hits, you can go for the quartz type that can retain more heat. For smoother, woody-filled aromas, go for wood ring types that prevent conduction. Boundless CFV is very easy to use. It includes a temperature control for customizable vapor sessions. Additionally, the vape features a swivel mouthpiece. You only need to flip it out for use and flip it back when through with vaping. The 4-inch PAX 3 is a latest release after the PAX 2. Compared to its predecessor, PAX 3 is a robust, smart and high-performing vaporizer. This vaporizer heats up 15 seconds faster than most portable vaporizers in local vape shops. 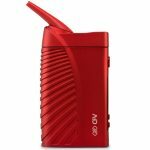 Its battery power is exceptional as it allows you to vape as you move. PAX 3 temperature control is outstanding. When you hold down the vape’s mouthpiece, preset temperatures will be toggled. This activates a movement-sensing accelerometer that simply shuts off the temperature control mode when the vape is shaken. 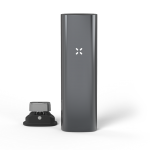 PAX 3 is a quality portable dry herb vaporizer that can give you exceptional vaping sessions and is user-friendly. The DaVinci IQ was ranked as the number one best portable vaporizer of 2017 by the Huffington Post. This new vaporizer is very popular because of its ultra-modern design, mobile app controls, high-quality vapor production and a very unique temperature control system. DaVinci IQ integrates a unique vapor system is made of durable zirconia ceramic, a very rare feature in most vaporizers today. Only a quality vape shop may have it in stock. The ceramic is easy to clean and doesn’t carry unwanted odors in your dry herb aromas. The IQ has a metallic exterior with a LED light display. The light display in form of dot patterns indicates battery power, temperature and other essential operations of the phone. DaVinci Ascent is another high-end portable dry herb vaporizer. This vapor features a glass heating chamber and a glass straw. You can therefore expect original dry herb flavor free of plastic or metal tastes. With the DaVinci Ascent, you are in charge of temperature control. You only need to program the right temperature and allow it heat your dry herbs smoothly until they run out. Burning your dry herb with this vape is hard. With all these and many more portable vaporizers in market today, you need to try some to decide one that works for you in terms of performance and slid in your pocket well. 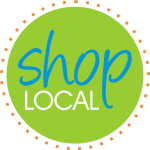 A visit to your nearest vape shop can begin your search for the best products today.